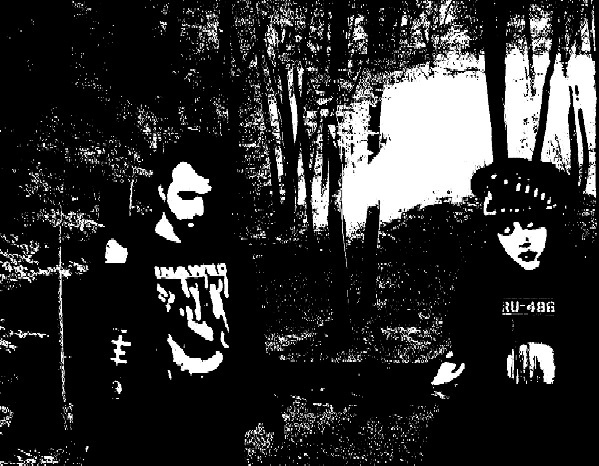 NECRO DOLL - VOCALS VIOLIN ADDITIONAL NOISE"
"BLACK SHEET SERVITUDE IS A FILTHY BLEND OF POWER ELECTRONICS, DEATH INDUSTRIAL AND HARSH BLACKENED NOISE WITH ELEMENTS OF DARK AMBIENT AND CINEMATIC HORROR ATMOSPHERICS. FORMED IN 2012. LYRICAL THEMES INCLUDE: B.D.S.M., TORTURE, ABUSE, MURDER, VIOLENCE, PSYCHOLOGICAL DISORDERS, PERVERSIONS, FETISHES, AND COUNTLESS OTHER FORMS OF DEPRAVITY. WE DO NOT CARE IF YOU LIKE US. WE DO NOT CARE FOR YOUR APPROVAL. WE DO THIS BECAUSE WE MUST." ATRAX MORGUE. SLOGUN. TAINT. GRUNT. NICOLE 12. GENOCIDE ORGAN. CON-DOM. THE GREY WOLVES. BRIGHTER DEATH NOW. DEATHPILE. RAMLEH. MORDER MACHINE. MASSONNA. HANATARASH. DISSECTING TABLE. MACRONYMPHA. WHITEHOUSE. SUTCLIFFE JUGEND. ETC." Songs That Never Fit On An Album, Etc. Supported B/S/S In Any Way.